MANILA, July 27 - - The Philippine peso and the main stocks gauge improved Thursday on dovish tone from US monetary officials after the two-day meeting of the Federal Open Market Committee (FOMC) on July 25-26, 2017. The local unit finished the day better at 50.56 from 50.64 Wednesday to what a trader said was due to expected decision by US Federal Reserve to keep key rates steady. Change in the tone of the Fed’s statement on inflation, which it said has declined from a more positive tone before, made regional currencies, including the peso, to rally during the day, the trader said. 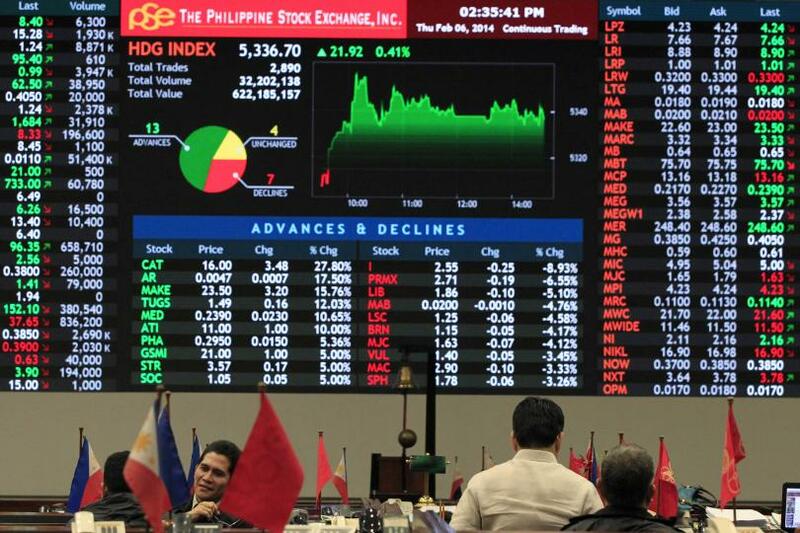 The trader said inflows to the local equities market also boosted the peso. With risk-sentiment up, the local unit opened at 50.53 from the previous session’s 50.65. It ranged between 50.48 and 50.59, bringing the day’s average to 50.54. However, volume for the day declined to USD560.5 million from Wednesday’s USD932 million. The Philippine Stock Exchange index (PSEi) sustained its rise and ended the day at 8,045.78 points, up 0.10 percent or 8.27 points. It hit as high as 8,106.74 points mid-trade but profit-taking and sell-off erased its gains earlier in the day, a trader said. Its latest breach past the 8,000-mark was on Wednesday when it increased to 8,062.99 points but ended the day at 8.037.51 points. To date, the main index has changed by 17.6 percent, with the highest one-day increase in terms of points and percent registered on Wednesday at 65.79 points and 0.8 percent, respectively. Traders pointed this to upbeat sentiment after President Rodrigo R. Duterte delivered his second State of the Nation Address (SONA) last Monday, wherein he vowed the continued investment on infrastructure and the fight against corruption, among others. The optimism was seen in most of the indices, with the All Shares rising by 0.04 percent, or 1.78 points to 4,781.58 points. Holding Firms led the sectors after it went up 0.57 percent followed by Mining and Oil, 0.53 percent; Industrial, 0.36 percent; and Financials, 0.19 percent. Property and Services went the other way after falling 0.69 percent and 0.39 percent, respectively. Volume for the day reached 1.96 billion shares amounting to PHP7.13 billion.